Diveheart will be returning to Cozumel this May to host its 10th Annual International Adaptive Scuba Symposium. This event will be held Friday May 10th, 2019 from 9am to 2 pm in the Conference Room of the Hotel Cozumel and Resort. 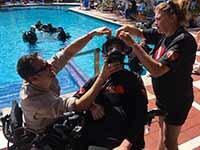 People of all abilities and those who serve them are invited to join the dive community at the symposium to learn about the medical and other benefits of zero gravity and scuba therapy, as well as the latest in adaptive scuba training, techniques and equipment. See speakers from… major medical and hyperbaric institutions as well as local dive providers. Whether you are a divemaster, scuba instructor, adaptive diver, dive shop owner, researcher, therapist, physician or recreational diver, you will learn about the current state, and the exciting future of adaptive scuba, scuba therapy and the latest in scuba therapy research. In addition to the Symposium, Diveheart will be at Hotel Cozumel and Resort for its Spring adaptive dive trip May 4 through May 11, 2019. Since 2001 Diveheart has been bringing volunteers, divers, certified Dive Buddies, Instructors and adaptive divers to Cozumel. During the week they all work as adaptive dive teams to assist Adaptive divers so they too can experience the amazing reefs of Cozumel. 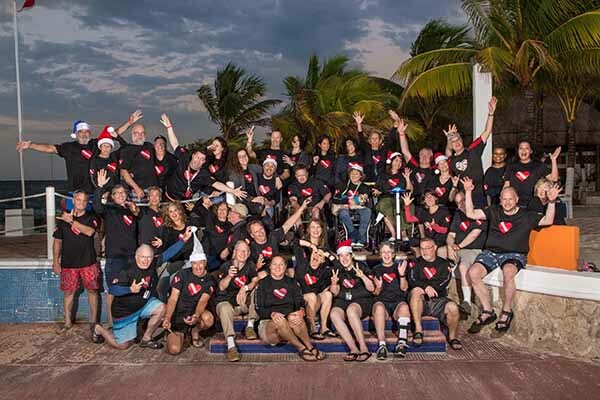 Over the last few years Diveheart December trips have grown and consistently bring up to 50 people to the island! Typically Diveheart visits Cozumel three to four times a year on adaptive dive trips providing teams for adaptive divers as well as conducting adaptive dive training for instructors, divemasters and divers who want to help as adaptive dive buddies. The Diveheart training helps trainees develop the knowledge and skills necessary to safely aid adaptive divers. The training is demanding but very gratifying when one finally earns their Diveheart adaptive buddy certification. 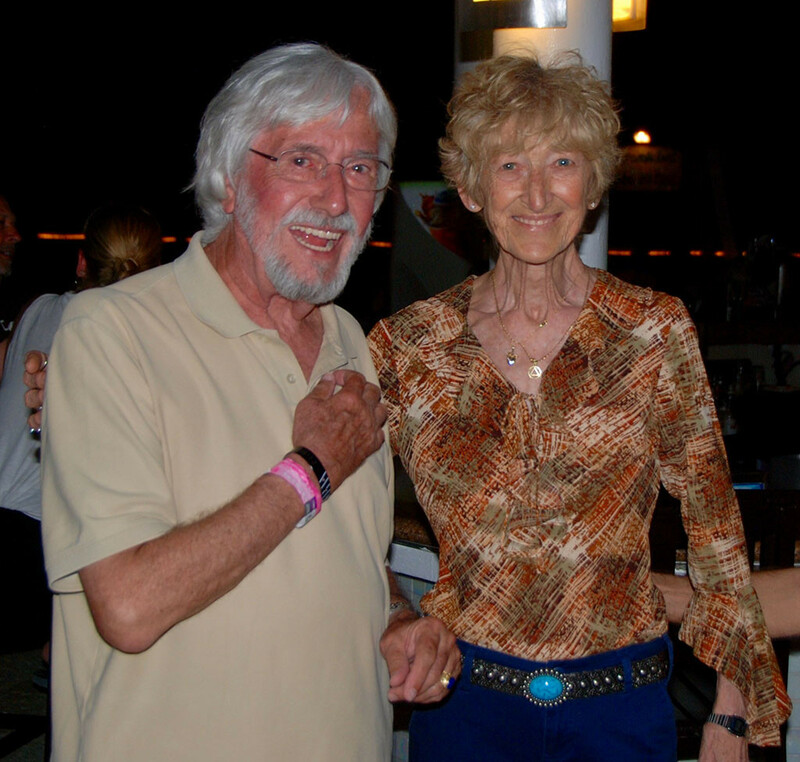 Supported strongly by the late Renee Applegate (Apple), Dive Paradise has been an amazing partner to the Diveheart program by assisting with, boats, divemasters, time, energy and support for many years. Diveheart is also pleased that this tradition or legacy is been continued by the new owners Mike Penwarden and Caroline Penwarden. We thank them as well as the entire Dive Paradise staff for their hard work over the years. Diveheart is so excited to have the opportunity to invite everyone in the Cozumel dive, rehabilitation, therapy, resort, business and medical communities to partner with Diveheart to grow adaptive scuba and scuba therapy on the island of Cozumel and beyond. Diveheart is a nonprofit tax-exempt 501(c)(3) organization based in Downers Grove Illinois, USA. The purpose of Diveheart is to provide and support educational scuba diving programs that are open to any child, adult or veteran (from any country) with a disability, with the hope of providing both physical and psychological therapeutic value to that person. We’ve discovered the forgiving, weightless wonder of the water column which provides the perfect gravity-free environment for those who might otherwise struggle on land. Underwater, we’re all equal. Diveheart works with individuals who have a variety of disabilities, including physical and developmental disabilities, vision and hearing impairments, amputations, traumatic brain injuries, Post Traumatic Stress Disorder and more. Diveheart seeks to help its participants “Imagine the Possibilities” in their lives. If you are interested in helping Diveheart here in Cozumel there are many ways. 1) visit Diverheart.org to learn more about the organization and share their stories of hope and healing with others . 2) register for the upcoming symposium May 10th and bring people of all abilities so they can learn more about scuba therapy. 3) If you are a diver or dive professional, you can sign up for Diveheart adaptive training here http://www.diveheart.org/training/get-started/ and participate in the confined and openwater training in Cozumel. Again, save the date for the May 4-10 Diveheart adaptive scuba trip as well as the Tenth Annual Adaptive Scuba Symposium Friday May 10th 2019 from 9am to 2pm. Rick Leister started visiting Cozumel about 8 years ago to earn his Advanced Open Water certification. After many Cozumel vacations, he decided to leave Chicago for a simpler life. Cozumel has been his full time home now for over 2 ½ years. Rick is an avid scuba diver and started volunteering with the Diveheart Organization in 2015. Trained as “Advanced Adaptive Dive Buddy” he has helped with many events in the Chicago area and has volunteered at every Diveheart event since moving to the island. 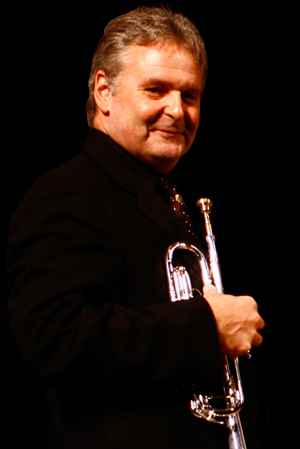 Rick, a retired, professional trumpet player from Chicago Illinois, was an active member of Chicago musical theater, performing Broadway Shows for over 20 years. His credits include Le Miserable, Phantom of the Opera, Miss Saigon, West Side Story, the pre. Broadway premier of Victor Victoria with Julie Andrews, and most recently the Chicago pre. Broadway premier of Mel Brooks’, “The Producers” with Nathan Lane and Matthew Broderick. He has performed with many of the worlds top entertainers including Aretha Franklin, Ray Charles, the Temptations, Julie Andrews, Doc Severinsen, Wayne Newton, and other Las Vegas style acts. In addition to his busy performing schedule, he also taught trumpet in many Chicago area schools and was Adjunct Professor of Trumpet and Director of Brass Chamber Music at Illiniois Weslyan University for 10 years. Rick, although retired, is still an active trumpet player. Last year he had the pleasure to regularly work with the trumpet and brass students of the Banda Sinfonica de Cozumel. He also had the privilege of performing with the Sinfónica de Quintana Roo in concert venues in the Maya Riviera ,. At the present time you will see him performing weekly on Isla de Cozumel with “Trio Las Americas” at Agave, Hotel B, Wet Wendys, Secrets Aura (Cozumel) and monthly at Colores y Sabores. Please come by any or all of these venues to say hi to Rick and chat about Diveheart.